Want to request a demonstration of the myAko solution? Starting our journey with a mission to make learning simpler, we developed an endorsed learning programme that can be taken in 10-minute bites, whenever and wherever your team are. Employee engagement is one of the key elements that ensures the success of any organisation. That's why we've developed a range of personal development tools to help you motivate and engage your workforce. 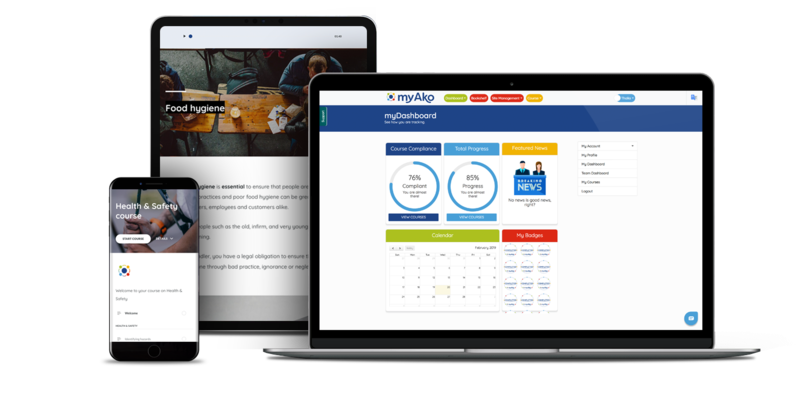 Each and every myAko user benefits from real-time compliance reporting and a live dashboard that lets you navigate through your entire solution in just one or two clicks! At myAko, we talk a lot! Communication is vital for organisations of all sizes, so we've developed a number of integrated tools to help. Our mission here at myAko is to continuously develop tools to make your job, role and life easier. With a commitment to innovation, we have developed a series of integrated tools that support you in running your business. Damian Hinds, Education Secretary in the UK, announced a new scheme on January 19th 2019, whereby school children aged 11 and above are going to be given greater opportunity to explore the world and all its different cultures. Marching on Downing street – why is this the necessary action to take? Friday 28th September saw around 2,000 school head teachers, from England, Wales and Ireland, march on Downing Street. Why can’t the government address the real issues in education? Back in November 2017, education ministers announced they were going to release a policy, along with resources, with the aim of helping schools to reduce their workload. This new government policy was projected to be published in Spring of 2018. At myAko, we talk a lot! Our goal is to make your life easier, and we passionately believe in delivering a positive and engaging customer experience. If you have a suggestion, comment or idea that you think will help us improve, we would love to hear from you! All contributions will be reviewed personally by our MD and our development team. Please fill in the form below to request a demo and will be in contact shortly! Can you help us conquer the world by giving us your feedback, thoughts or comments?